Dogwoods! I love dogwoods, my first two visits to Yosemite they were blooming everywhere but since then I have not seen them until my last trip up there earlier this April. 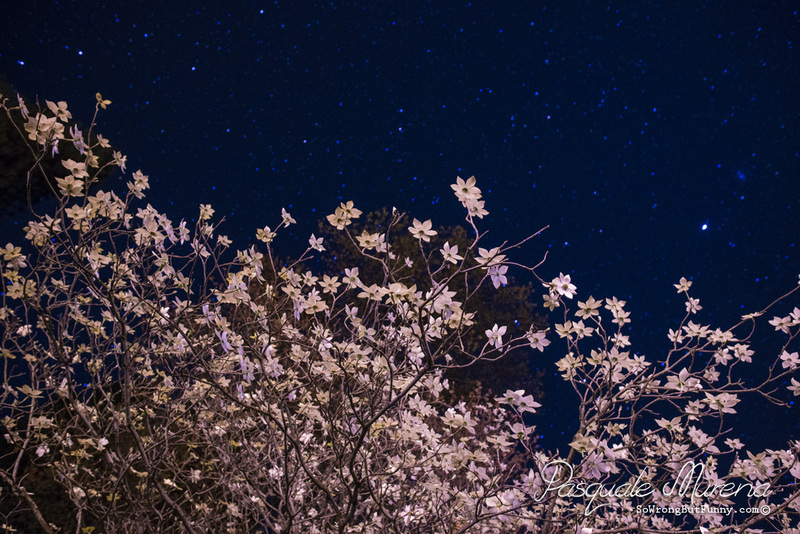 I have dozens of shots of the flowers alone but I wanted to try to capture them in the night sky. I took all of these photos at the Ahwahnee Hotel, one of my favorite spots to photograph Dogwoods and to relax in the park. The Ahwahnee is a special place for me because two weekends ago my bride and I had our reception there. A beautiful place for a wedding and to photograph Dogwoods. Getting these photos was tricky because you have to have no breeze at all because you have to keep your shutter open for at least 15 seconds to get good photos of the stars. I couldn’t get a great depth of field because I wanted to keep the shutter speed as low as possible because the branches were moving, less blur. 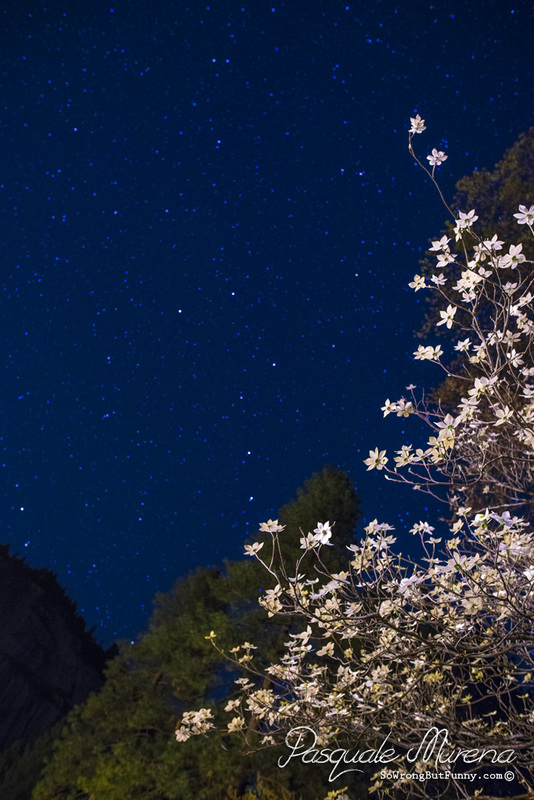 This is why the flowers are in focus but I made the stars out of focus. 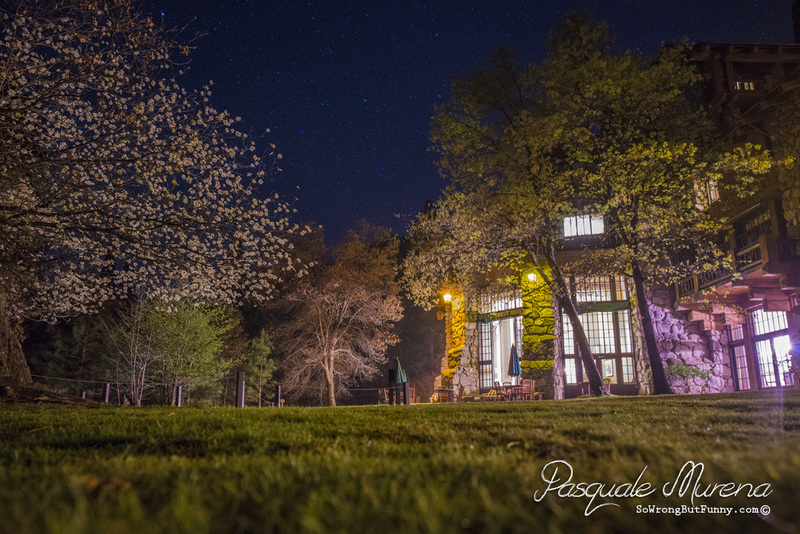 Photography by Pasquale Murena; Astrophotography, Night Photography and Wildlife & Nature.